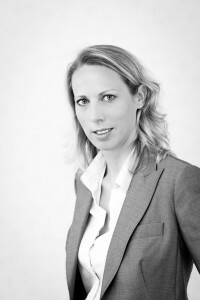 Delphine Weisse started her professional career in 1999 as an external auditor with Arthur Andersen in Luxembourg. A few months after the combination of the activities of Andersen and Ernst & Young in 2002, she became Personal Assistant to the Global CFO of Ernst & Young and managed finance-related projects at global level. In 2004 she also assisted the CFO of the Continental Western Union Area. In 2005 she joined Atoz, a Luxembourg-based tax advisory and corporate finance firm, where she focused on mergers and acquisitions as a Director for 6 years. In 2008, she temporarily moved to Paris for a secondment with the Corporate Finance team of Edmond de Rothschild. In 2011 she decided to leave the advisory business and joined Quilvest Wealth Management as the group CFO. Quilvest Wealth Management was born in May 2011 from the combination of Compagnie de Banque Privée (CBP), now CBP Quilvest SA, and the wealth management activities of the Quilvest group. Delphine Weisse now serves as a CFO of both CBP Quilvest SA and Quilvest Wealth Management.